READY TO SHIP 1/2 (13mm) Holly Wooden Plugs with Abalone Om Inlay - Pair - Premade Gauges Ship Within 1 Business Day! READY TO SHIP 1/2" (13mm) Holly Wooden Plugs with Abalone Om Inlay - Pair - Premade Gauges Ship Within 1 Business Day! 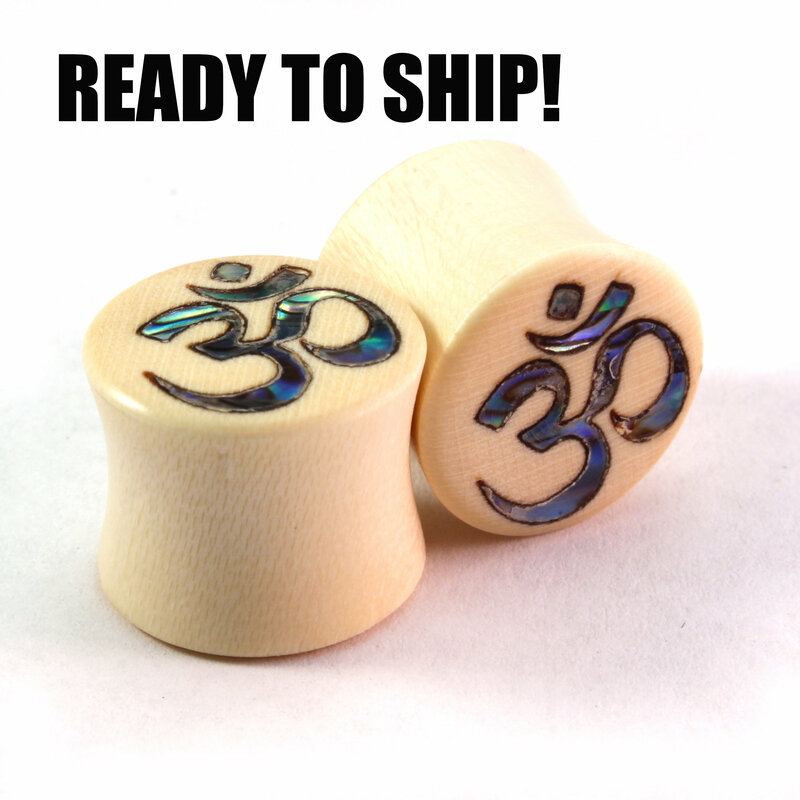 These wooden plugs are made with Holly wood and have an Abalone Om Inlay. They're sized at 1/2" (13mm). They're a great gift idea for that yoga-loving, spiritual person in your life.